We are to be a light to the world. We do that by serving our community and our world. We provide opportunities for you to partner with us and show the love of Jesus to others near and far. We are committed to serving our community and the greater-San-Antonio area. We regularly partner with local cities, ministries and other outreach programs to serve Cibolo, Schertz, New Braunfels and San Antonio. One of the two final directives Jesus gives is to go to all corners of the earth. Discovery supports those who are full time missionaries. We also take an annual missions trip. Operation Backpack is a ministry that provides food for families in need. 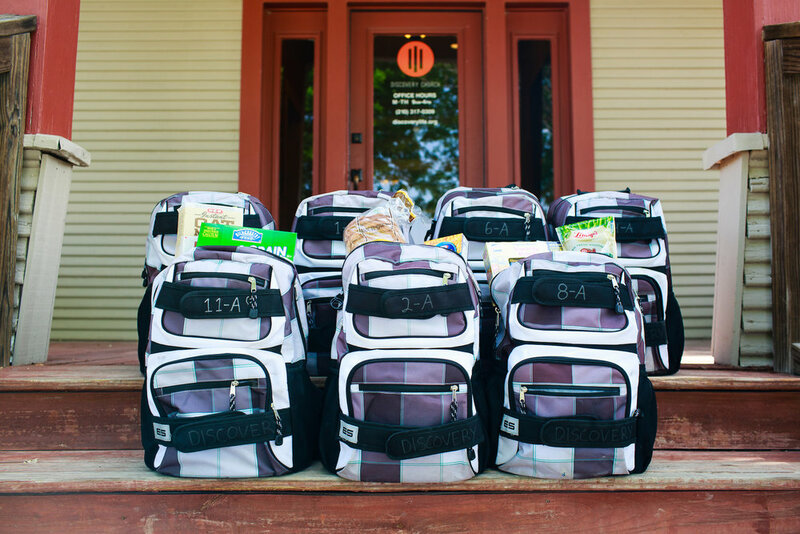 We have partnered with the local school district to send backpacks full of food home with these families.